Borer Bees, and The Outlaw), among others. His article on Nina Simone appears in Making Notes: Music of the Carolinas (Novello Festival Press, 2008). Charles is the recipient of a Literary Fellowship in fiction from the N.C. Arts Council and the Sam Ragan Fine Arts Award for Literature from St. Andrews Presbyterian College. He lives in Raleigh with his wife and daughter. Find him on Facebook. 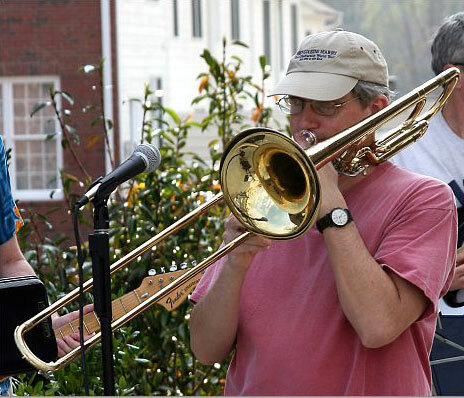 At the age of ten, Tom received his first trombone, a family heirloom purchased second-hand in the Great Depression. 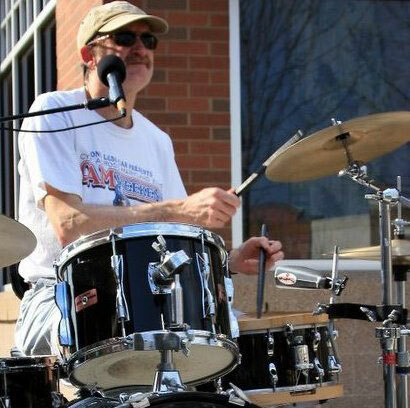 Many jazz ensembles, symphony orchestras, musical comedies, and half-time shows later, he was invited by The Cousins to sit in with their garage band. Soon he was promoted from Third to Second Cousin, after promising to bring more beer and not to play so many notes. 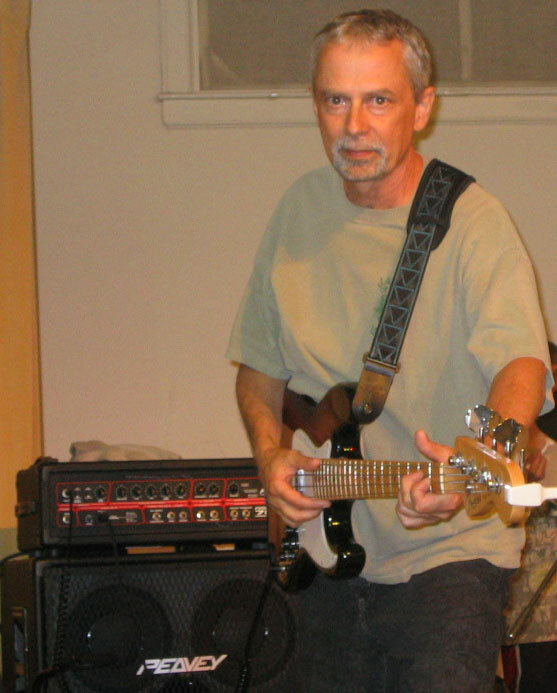 He struggled for years to create a unique rockabilly horn sound, then gave up and purchased a blues harp, which he learned to play by means of Prof. Harold Hill’s “Think System.” Later on, he acquired some cheap but noisy percussion instruments and allied with Cousin Spence in his long war against the electric guitars. Lately, Cole has been playing piano, with mixed results. Cole’s family of four lives in Carrboro, N.C., and he has no plans to quit his day job. Jimmy is currently on loan to The Cousins from west Raleigh rock outfit RedElbo and has played bass for almost three years and guitar for longer, most notably with such mercifully defunct Triangle bands as The Rude Goobers, The Vipers, and The Combovers. For the past few years, for now, and for the foreseeable future, jd has been, is, and will be a card-carrying Cousin with a capital C, the eleventh in a long line of distinguished bass players to hold the Cousins’ bass chair, and possibly the last that need bother to apply, although he has yet to find a suitable fez. When Steve was in junior high school, the voices of Pete Seeger, Woody Guthrie, and Leadbelly called to him. They told him to buy a banjo and to proclaim the truth to the folk. Before long, other voices told him to stick a microphone inside his banjo and play rock ’n’ roll. He and the band, The Intruders, rocked the Boston suburbs. Later, in high school, the gentler spirit of folk music called Steve to a jug band, The Agrarian Revolt. 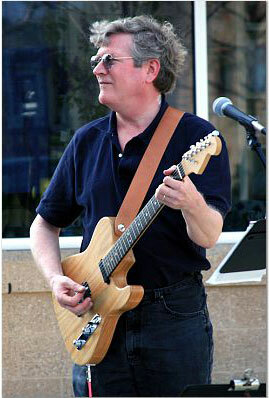 Steve took up acoustic guitar, mandolin, and later fiddle. 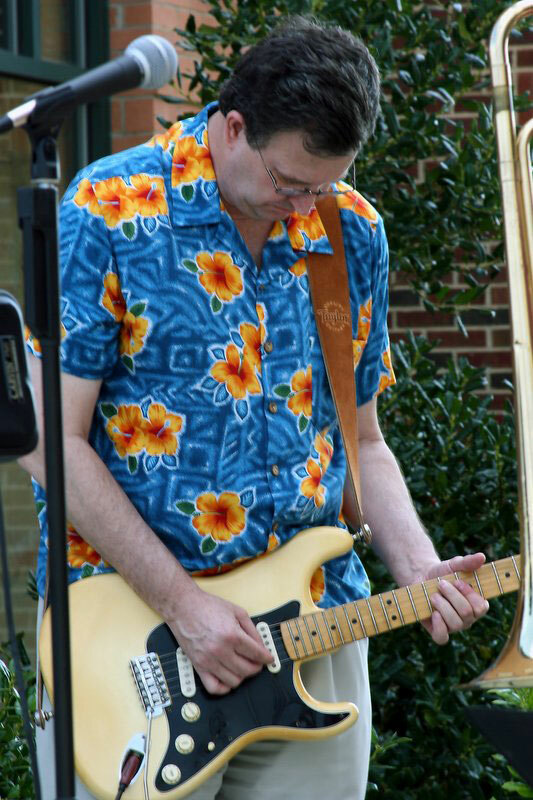 In college, Steve taught folk songs to school kids through the YMCA, and he joined jam sessions in front of Carr Building on the UNC-Chapel Hill campus. In the 1980s, he finally took up the flaming sword of the musical gods themselves, the electric guitar, and the first generation of Cousins were called together. He strayed for a while in the late 1990s and early 00s with two other bands: Swade and Satin and Remnants. But in the end, it came back down to “family.” When Cousins Marry has been his shelter and comfort in life’s storms for twenty-six years. With them he writes songs, performs across North Carolina (though mostly in Raleigh, Durham, and Chapel Hill). And, with them, he’s answering a call from the “Hook ’em Horns” to learn to play the cornet. Until the voices stop, he’ll continue to proclaim the truth. Spence is a founding member of the band and hails from Kinston, N.C., home of Maceo Parker, Jaime Pressley, and Jimmy Dickerson. Spence got his first set of drumsticks at an early age and sacrificed them to the wrath of his father, who, trying to break them over his knee, cursed his generosity towards his son that past Christmas. Spence beat it out of Kinston in his teens, eventually playing his way into various ensembles from rock and roll cover bands to Latin swing to pit orchestras for local musicals, finally getting his adoption papers stamped by When Cousins Marry. In addition to his tunes on Shotgun Wedding, he has a number of others in the wings, all influenced by his past careers as a part-time gigolo, master jewel thief, vocal coach for Milli Vanilli, and fry cook. Well, fry cook, anyway. He has worked for the past twenty-five or so years in the mental health field. Obviously, this experience has been vital in maintaining his tenure and sanity in the band.